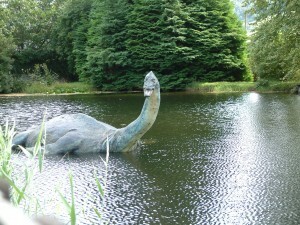 Reconstruction of Loch Ness monster as a plesiosaur outside Museum of Nessie. Photo courtesy of Wikimedia Commons. Rescue your content from the murky depths of search. Debunk these six myths about SEO and, whether you manage an online store, a corporate website or a personal blog, the people you want to reach will know exactly where to find you. If you figure out the right keywords, you can outwit the competition and draw hordes of customers and fans to your site. Right? REALITY: If we could just list popular keyword phrases on a website and attract customers, marketing would be a heck of a lot easier. But search engines have strict protocols about sites that look like keyword dumps and will remove them from search results. Keywords live inside content and in order for your content to score high with search engines, it must be helpful, relevant and timely for your audience, as well as interactive. The more your content engages audiences, the more time they’ll want to spend with you and your brands and, ultimately, the better you’ll score with search engines. But you just said content is key. REALITY: Content is paramount, but so is customizing that content for the crawlers used by Google, Yahoo!, Bing, and other search engines. Maybe you recently started a blog and are still getting comfortable with the WordPress or Blogger platform. Perhaps you produce content for a major corporate site. From simple to sophisticated, there are basic technical tweaks that will give your content more prominence. Take some tips from the easy-to-read Google Search Engine Optimization Starter Guide and give your pages clear and accurate titles. Be strategic about filling out your site/blog metadescription, using keywords in your meta tags, headers, links, and especially when naming images, photos, videos, and downloads. Organize your site structure and content to make sure that search engines don’t overlook anything (submerge your content and it’ll drown; if it’s too many clicks away from the home page, search will rank it lower and sometimes not at all) and always enable your site for mobile users. If you’re using Blogger, which is owned by Google, each time you post, the URL is already customized based on your title (so be SEO-savvy about your title or learn how to customize your URL). Other blog and website platforms offer URL customization. Still, you’d be amazed at the major brand websites and blogs out there whose content is rendered unsearchable by URLs that merely indicate this is Press Release #956 rather than the most reliable source of information about the launch of a new product. The technical basics of making your website or blog SEO-savvy aren’t hard to pick up. And there are plenty of do-it-yourself options out there, from online Help forums to sites like SEOmoz and blogging guidebooks. Depending on your budget, there are also companies that specialize in conducting technical SEO audits of your websites, blogs, microsites, video channels – you name it. C’mon now, “search” is the very first word in Search Engine Optimization. REALITY: That may be, but it’s not the last word. Certainly, search marketer Lee Odden, in his new book Optimize, observes that “search engines continue to represent the most popular method of finding specific information (Pew Internet 2011).” However, he adds, with the rise of social networking, search becomes only part of online engagement for customers, constituencies, key audiences, fans, and friends. It’s not always enough to offer coupons on your brand’s Facebook page. What today’s consumer may need is a post with great recipes (or hair-care tips or how-to advice, depending on your product) before they’ll take advantage of your discount and share links with their friends. In turn, it’s this type of engagement and sharing of content that reinforces your site’s credibility with search engines and pushes rankings higher. And that’s the Circle of SEO. REALITY: “Circular” doesn’t imply wash-rinse-repeat. It’s not enough that the technology (from laptop to tablet to phone to Google glasses) is changing or that search engines continually refine their algorithms to foil Black Hats or that social networks are increasing by the day. The most effective engagement is customized to your audience’s needs and based on the unique aspects of the channel you’re using. Your keywords will change every six months or so, as will your approach when new networks, like the next Pinterest, pop up and your fans want to find your content and engage with you there. Really? You only have one audience? REALITY: If you can research keyword usage on the Internet, why not on an intranet and optimize content and user experience to help employees meet business goals? Same thing for a microsite you’ve set up to target niche constituencies. If you’ve established a cross-functional team (like the one suggested in Myth #4), then you’ll have plenty of content customized for different audiences. The smartest aspect of this approach is that your internal content often works perfectly well externally – now you’re not just engaging, you’re maximizing your ROI on content-creation. This myth raises its head from beneath the dark and stormy waters every time Google improves its search algorithms, making it tougher for those who want to game the system rather than put genuine effort into engagement. 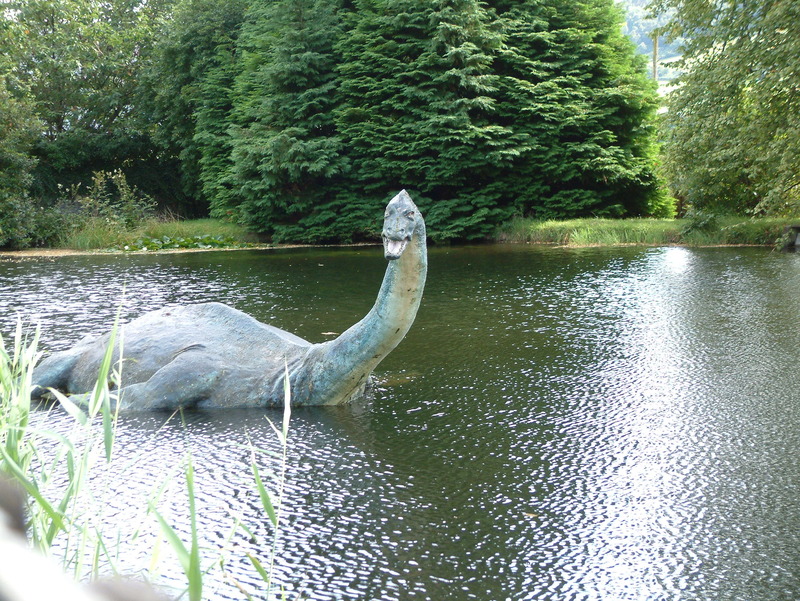 This entry was posted in Social Media and tagged blogs, keywords, Loch Ness monster, search, SEO by Vickie Bates. Bookmark the permalink. I must admit to being intimidated by SEO—at this point in my blogging “career” I’m trying to integrate title, content and image descriptions to attract search engines to my site but am not sure I’m going about it correctly. The Google SEO Starter Guide looks like a helpful resource—wouldn’t it be great to have my blog posts rise from the murky depths to the top of every search engine?! Thanks for providing another educational and informative post, Vickie. That Google starter guide is very helpful for new(ish) bloggers. Another resource is Darren Rowse’s “Problogger” book, which covers some of the same territory with perhaps a little less SEO jargon. I’ve also seen great starter guides from Mashable.